Personalised Engraved Children's Train Design Memory Box. 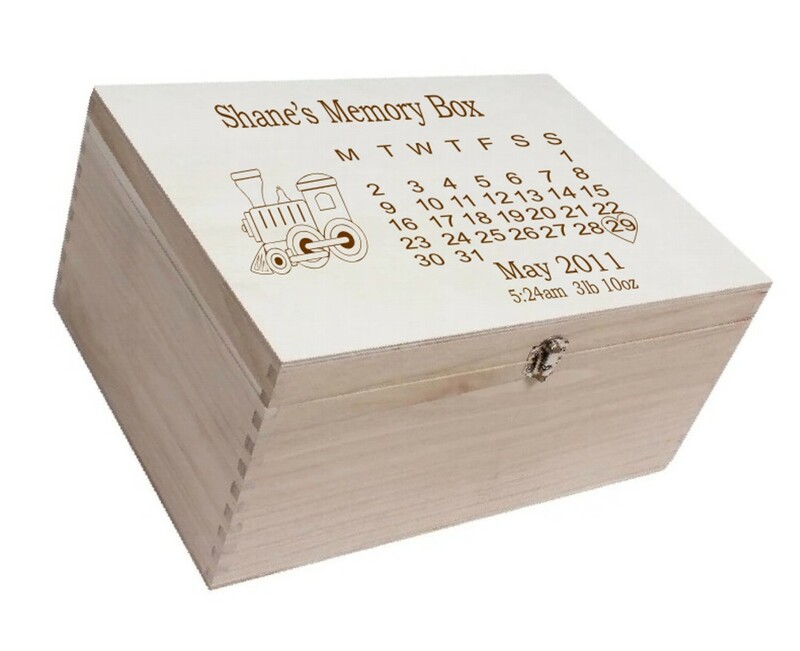 This amazing box measures 28 x 21 x 15 cm, perfect size to fit all of your special memories in. The cute train image is included. All you need to do is to advise us of the name, date and time of birth and weight. We will then find the calendar from the birth year and engrave it for you to complete this unique gift. This great box is made from pine and is finished with a silver clasp and hinges.